After nearly 40 years, J Reynolds & Co. Inc. has set itself apart with its service, owner Matt Skipper says. “We really try to communicate and ensure the customers are satisfied with the products they get,” he says. 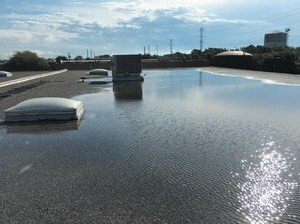 Saginaw, Texas-based J Reynolds specializes in commercial roofing and water proofing projects across the United States. Founder Jerry Reynolds started the company in Chicago in 1976 and opened a Dallas office in 2002. That year, Reynolds partnered with Skipper, who now owns the company and manages its sole office from Saginaw. Currently, it employs a staff of 145 and serves a customer base that includes hotels and the service industry. J Reynolds continues to grow, Skipper says. In 2012, he added a new partner, Vice President Kyle Crawford, who is a third-generation roofer. Another important hire is Marketing Associate Amy Aubuchon, who helped J Reynolds create its marketing department. “We never really pushed it and it’s really opening a lot of new doors for us so we can expand our business and grow,” Skipper says. So far, under Aubuchon’s tenure, the company has changed its logo, added a new web site, attended trade shows and grown its focus on work in the Dallas area. “We’re pretty proud of our numbers that have come up in the Dallas market,” he says. J Reynolds also has moved into a new corporate office. “It’s a top-of-the-line facility with a full-on sheet metal shop with all computerized equipment,” Skipper says, noting that the company is ANSI/SPRI ES-1 certified, which allows it to do its own metal work. Previously, “We had to buy from manufacturers,” he recalls, noting that J Reynolds’ ability to do its own edge and coping metal work means less costs for the customer. The company also has increased its amount of after-sales service. “We now follow up with a survey for every customer to make sure their needs were met,” he says. J Reynolds’ industry is constantly evolving, Skipper says. For example, J Reynolds used to complete many asphalt roof products in its local marketplace, but those numbers recently changed. 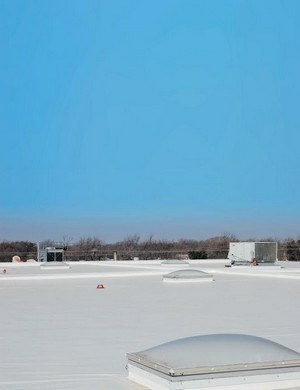 As energy requirements have increased, reflective roofs have been in higher demand. “If you work in the city of Houston, you have to have an ENERGY STAR-rated roof,” he says. The company also has struggled with introduction of new, less expensive products that have not been time tested. Although J Reynolds’ clients often may want to use those, “We’d rather fall back to a time-tested material that will last for the warrantied period and meet their expectation,” Skipper says. A 22-year veteran of the roofing industry, Skipper worked primarily on the manufacturing and consulting side of the business before joining J Reynolds. “I was a vice president for two roofing companies prior to partnering with Jerry Reynolds,” he recalls.